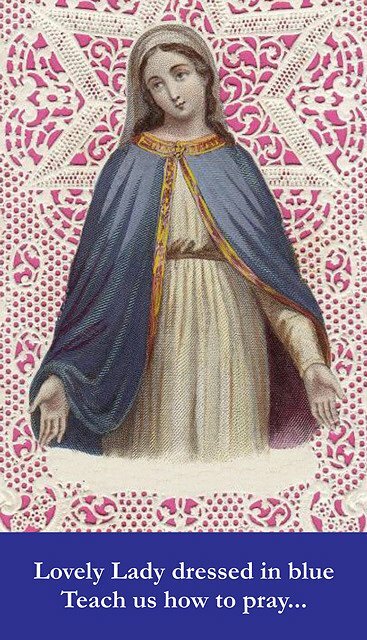 I love religious items from all religions, which is why I'm hosting a Prayer Cards Swap on Swap-Bot. For those of you who aren't familiar with Swap-Bot, it's a great place to trade crafts and other items. I like Swap-Bot because I've met some great bloggers and other people with images similar to mine. One of my favorite cards is a Medicine Buddha card that has the mantra on the back. 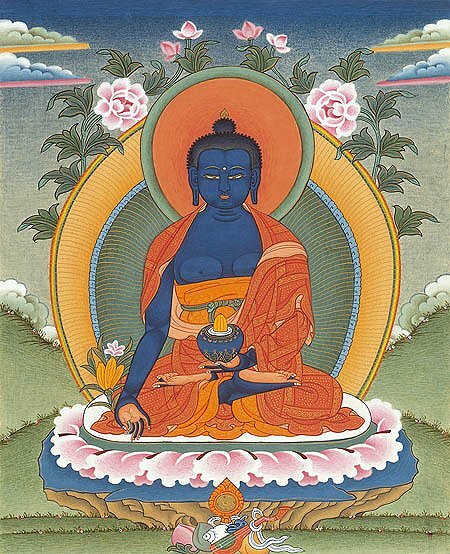 Medicine Buddha card from Tharpa Publications. Please come join in the swap on Swap-Bot, if you are interested. I can't wait to see all of the interesting cards that people will trade. If you are familiar with prayer cards, please feel free to comment below, as I have only recently received a few. Thanks for sharing the Medicine Buddha card - please can you share the mantra which you said was on the back - thanks! @Kalpanas, on the back of the card is the syllable "hum", which according to the Dalai Lama, means, "Purity must be achieved by an indivisible unity of method and wisdom, symbolized by the syllable hum, which indicates indivisibility." If you would like more information about the Medicine Buddha mantra, this website is a great resource that breaks down the meaning, syllable by syllable. @Deb, I can't wait for your email. I'm not sure what Blessing Bundles are, but it sounds like something I'd love. Thanks so much for the information. If only I had seen this earlier! I love prayer cards too!